Just finished a new iPhone desktop background pattern in Processing. I’m using these as my Home Screen, but these would work with your lock screen just as well. You can see all the images below, or download them all in one zip file. And now for the magic. Say you want your Processing sketch to speak. No problem, here’s the source code to a simple sample of how to do this. I’m a PC, but I’m also a MAC. 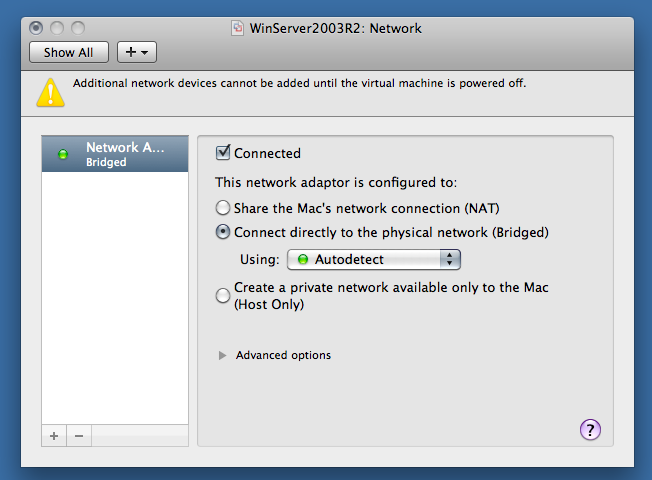 Set network connection to bridged. I’m happy to share my 360 Flex presentation on HTML5 and Adobe AIR. This is a topic I have a renewed interest in after Steve Jobs decided to start a war against Adobe’s Flash player. Also, my very first major HTML5 project endlessmural.com was launched the week before 360 Flex. Despite the title of this presentation, I didn’t put this together to bash HTML5 or Apple. 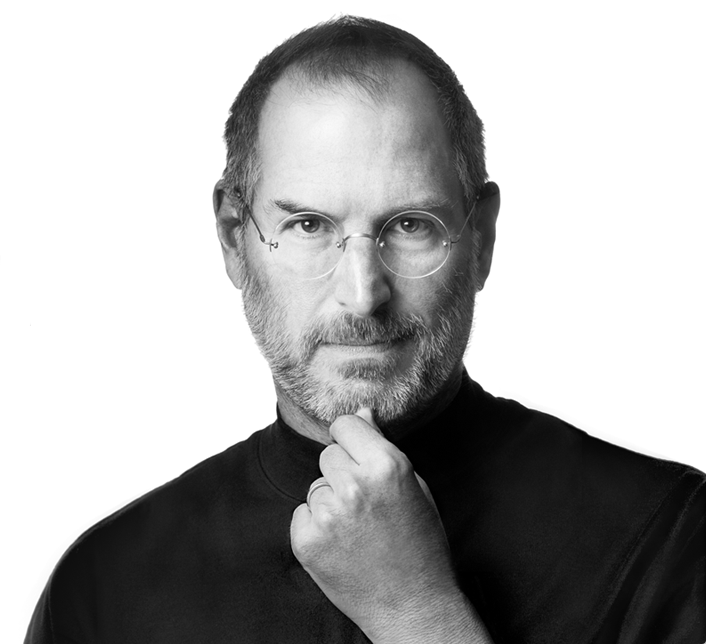 Steve Jobs fired me up when he declared Flash dead, and I realized it’s time to start having the “technology is a tool” conversation again. Bottom line, know your problem so you can pick the appropriate tool for the job. That tool might be HTML, it might be the Flash Platform, or it may be Lego blocks. Chances are your target customer doesn’t care. If you have any interest in the sample AIR applications I demoed, just drop me a line, comment, email, tweet, smoke signal, or carrier pigeon. View more presentations from Eric Fickes. 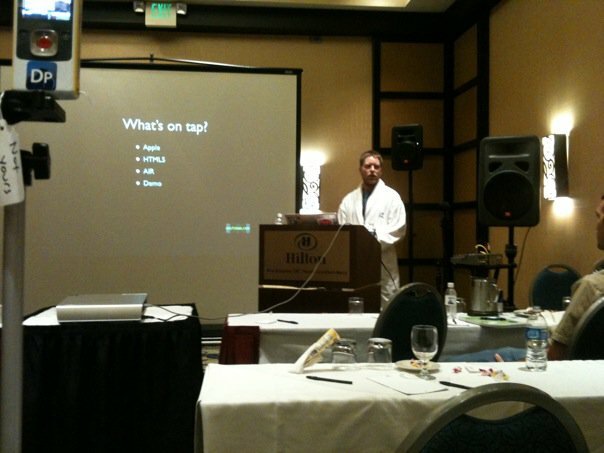 BTW, I gave this preso wearing a bathrobe. It’s official, The Flash Platform rocks! * UPDATE : all the videos were originally made and hosted at http://screentoaster.com which is now defunct. I will get these videos updated someday. Sorry for the loss. In case you missed the June RMAUG meeting, my band The Compilers played our first hybrid concert and presentation show. Who are The Compilers? As far as I know, we’re Denver CO’s only Tech Funk Fusion trio that use internet technology along with analog instruments. By day we’re internet programmers, and by night we’re rockers. Right now majority of our software revolves around the Flash Platform, so it was only natural that we play at RMAUG. Below is a recap of our setlist, and notes about the technology we presented on. When you see mentions of a Flash movie, these are not run as standalone SWF files. They are actually played by our Flex based Compilers Live Player. This application runs on our guitarist Jun Heider’s laptop, and the entire app is controlled over MIDI, via a Behringer FCB1010 Foot Controller, MMJ, and MERAPI. For the first song of our set we decided to use a funny and informative Flash movie to give the audience a hint at what they’re about to see. For the June RMAUG show, this movie was updated to include spoken thank you slides for the companies that make our technology, and special shout outs to all the people who help us put on a great show. For our iPhone song we have another entertaining Flash movie that gets played during my iPhone solo part. Both this song, and the Flash movie where updated a bit for RMAUG. Unfortunately Soundbooth crashed on us when saving the recording of our live set, so I can’t play a clip for the remixed iPhone song, but you can watch the updated iPhone Flash movie. This song is pretty straight forward when it comes to technology. We have a backing Flash movie that plays scenes from the ZeroWing video game, as well as the ‘All Your Base’ iPhone app for ZeroWing audio samples. I’m not including anything for this song besides, if you’ve seen us play before, this song now has a reggae feel to it. Prior to this show, ‘All Your Base’ was a hard driving all your punk are belong to us. This is one of our original rock tunes which has been given a minor touch of technology. There is a middle part that I now break out into an iPhone solo, and we also have an AIR 2 powered audio visualizer. This particular app is one of the most exciting for me because I’ve been waiting for the day when we can use getMicrophone to pull raw data. Instead of explaining this one, you can watch it instead. I’m happy to report our crown jewel of internet technology and audience interaction mashup “Tweet Jam”, has reached version 2. Both the song and the application have been rewritten especially for the RMAUG show. TweetJam is an instrumental jam song where the audience tweets at @thecompilers during our show, then our Roboreader application imports the @mentions and reads them back to the crowd via robot voice. Since our application reads the live Twitter feed, you don’t have to be at our shows to participate! A final point of interest for this application is that I run this on my laptop and control it using a wired XBOX 360 controller. There’s not much more to explain, but there is a video showing it in action. Our final song of the night uses two applications. One is a game for the audience, and the other is a simple audio app. The game is an AIR application that connects to the ‘phone game company’ MegaPhone service and displays a specially assigned 888 telephone number, and a range of numbers to press in order to vote for James Brown ( 0 – 4 ) or Rick James ( 5 – 9 ). When a player calls in and presses a number from a specific range, our AIR app will play an appropriate audio sample while we’re playing. Our AIR app keeps track and displays the running vote count, then at the end of the song we fade and play a funny video from the winner. The second application ‘Funky Funky’ is a simple AIR2 application that uses NativeProcess to say “Funky Funky”. While this doesn’t sound like anything noteworthy, it’s a perfect application for this particular jam because OSX’s SAY command has a voice called “Bells” that speaks in a melody that matches the song we’re playing. Of course this doesn’t make much sense not knowing what the song sounds like, so here’s the actual application for you download and try out. Note, this is an AIR2 app that uses NativeProcess, so this is an OSX only application. For your entertainment, here are two funny videos from James Brown and Rick James. So there you go, proof that the Flash Platform rocks! I haven’t thought of any rocking ending other than, go check out AIR2. The Flash Platform is no longer restricted to the browser. Let all the HTML heads keep the browser, I want to rock on stage with Flash. We didn’t get a recording of the show, but we do have a photo album of the June RMAUG on Facebook. If you missed The Compilers at RMAUG, we are playing at Ignite Denver 7 on July 27th. If you can’t make that show, be sure to at least tweet @thecompilers on July 27th to get yourself heard. Be sure to check out The Compilers World for information from the future of the internet rock trenches. Testing the embed feature of Animoto. These two shows where made on my iPhone. If you’re unfamiliar with Animoto I scribbled a quick review over at my iPhone blog. If you have an iPhone and take lots of pictures, I suggest getting Animoto from the app store.